→How Does Screencast-O-Matic Work? – Step-By-Step Instructions with a 20% Discount! How Does Screencast-O-Matic Work? 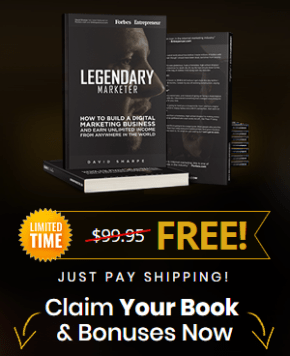 – Step-By-Step Instructions with a 20% Discount! Screencast-O-Matic is a great program for creating videos. It’s completely free and their premium version is as cheap as $15. Though my links you will even get 20% discount. In this article I am going to answer you the question, “How Does Screencast-O-Matic Work?” and show you in detail what kind of benefits it has. In the end of this post, I will also reveal a strategy what I use myself to make money with YouTube videos. It’s pretty simple and you can use it as well. 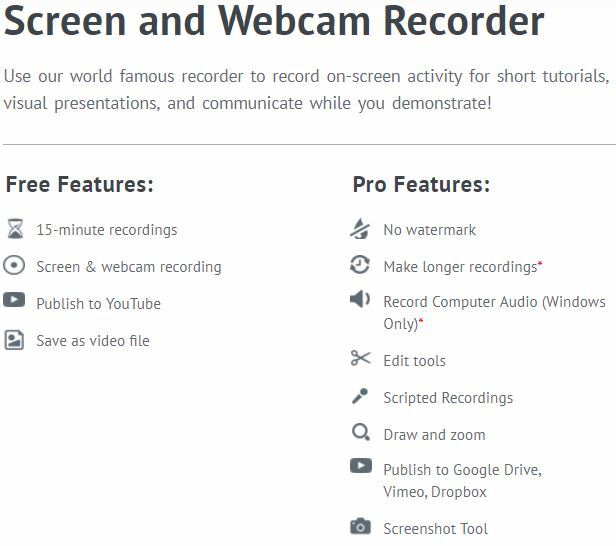 Screencast-O-Matic is a free software that you can use for recording your screen and webcam. I have used it for recording most of my YouTube-videos. I have loved using Screencast-O-Matic because after recording the video you can immediately upload it to YouTube. You can also use Screencast-O-Matic to record your webcam or both (webcam and screen) at the same time. If people don’t know you, it can be effective to record both so people see who you are which builds trust and credibility. Let’s get right into the action. Check out this video where I show you clearly how Screencast-O-Matic software works. I recorded the video by using another screencast software called Jing. That’s why the sound quality is not the best. With Screencast-O-Matic the voice quality has always been better than with Jing. First, go to their website. I recommend using my link because you will get a 20% if you decide to buy a premium version. With a discount, it costs only $12/year. But you can also start with a free version like I did. Then you just click, “Start Recording”. If you want to create an account, you can also click “Sign Up” on the right corner. You can connect Screencast-O-Matic with your Google-account so signing up takes only 5 seconds. This already gives you a picture how high-quality company Screencast-O-Matic is. Every company doesn’t provide services in 5 different languages. 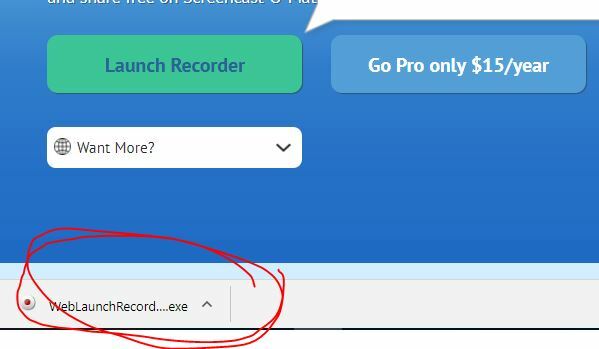 Let’s click “Launch Recorder” to get started. Then it will download a .exe file called WebLaunchRecorder to your computer. Click it to open it and you are ready to start recording. The software takes only a few seconds to launch. You can see the Screencast-O-Matic control panel on the left side. In the control panel, you can make the most important changes. You can choose if you want to record Screen, Webcam or Both. Notice that when you are recording your webcam it shows your webcam very lightly. But in the normal, it will appear in a natural light. You can also see a couple of other features in the control panel. Max Time means that your video will automatically end when your video reaches that time limit. With a free version your Max Time is 15 minutes and with a premium version, you can record as long as you want. Size shows how large area you are recording. You can manually change the area that you want to record by grabbing those white lines on the side, bottom or corners. Screencast-O-Matic Microphone – Which One Is the Best? When I started to use my laptop’s microphone with Screencast-O-Matic it didn’t work. Anyway, I think that built-in microphones are not very good so it’s better to find a real one. 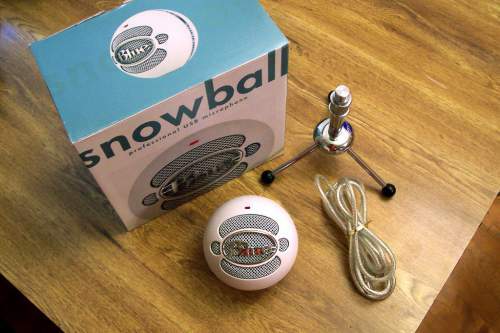 I bought a Blue Snowball microphone from Amazon which is probably one of the most popular mics for YouTube videos. It has tens of thousands positive of reviews on Amazon websites in total and most of them gave 5 out of 5 stars. The voice quality is great and it costs only $49. If you use some other microphones for your videos, I would love to hear in the comments below. There are for sure many other good alternatives but Blue Snowball works for me very well. 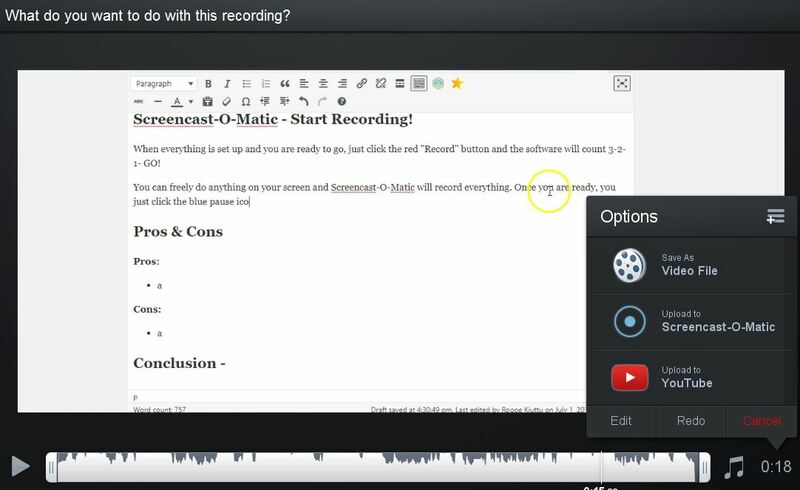 Screencast-O-Matic – Start Recording and Upload Immediately! When everything is set up and you are ready to go, just click the red “Record” button and the software will count 3-2-1- GO! You can freely do anything on your screen and Screencast-O-Matic will record everything. Once you are ready, you just click the blue pause icon. Then you can review your recording. You can add something in between or cut it a little bit if you want. If you are satisfied with the video, you just click “Done”. After clicking that, Screencast-O-Matic will ask “What do you want to do with this recording?” and the following options will appear. Screencast-O-Matic recorded my screen while I was writing this tutorial for you. On the right-hand side, you can see a control panel. You can save a video file on your computer by clicking “Save As Video File”. Then you can also upload it to Screencast-O-Matic website or directly to YouTube. I love that feature because when I am recording YouTube-videos, it speeds up the process a lot. I don’t need to save it first to my computer because I can put it directly on YouTube and get more views. With a Screencast-O-Matic Pro, you can also upload the video immediately to Vimeo, Google Drive or Dropbox. It’s completely free to use Screencast-O-Matic. However, if you want to access all pro features, their membership costs only $12/year through my link which means only $1 per month and around 3 cents per day. Quite cheap, huh? You couldn’t buy even one candy with that price. In the picture above, you can see differences between Free and Pro Features. The most important things for me to have the pro was that there is no watermark. I don’t want that all my viewers see I am using Screencast-O-Matic for my videos. In addition, it’s a little distraction. There are also more edit tools in the pro version. I think it’s easily worth the pizza ($12) to invest in a pro version. What do you think? I haven’t had any problem with using their software. 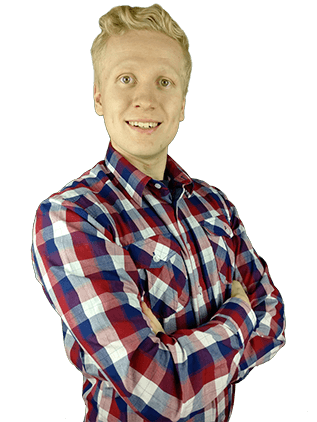 The founder of Wealthy Affiliate, Kyle Loudon, recommends it on his step-by-step online business training. 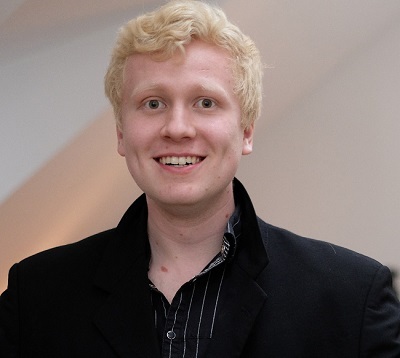 He is an online millionaire and has been in the industry for more than 15 years. I think he wouldn’t recommend something that isn’t safe. If you have had any safety issues with them, I would like to hear in the comments. I have used it already more than a year and never had any problems. If you have any questions on how to use their software, you can always ask me in the comments and I’ll be more than happy to help you out. You can also take a look at a Screencast-O-Matic help center for more instructions. They have very clear videos explaining everything you need to know about using their software. In the end, I would quickly like to teach you how I make money with YouTube-videos. Basically, my goal is to get people from YouTube to my website. I don’t care so much about the number of subscribers because I am not trying to build my business solely on YouTube. My business is on YourOnlineRevenue.com where I run the show. I can decide everything that happens on my website while YouTube is someone else’s property. Most of the traffic to my website comes from Google. I love SEO and it’s great to see how organic traffic rises every month. Keywords, internal links, and all the other stuff is important for Google rankings. But embedding a YouTube-video will give more “juice” for your posts. People will spend more time on your site when they play the video which helps rankings even more. In addition, Google loves that you add YouTube-videos to your property because Google owns YouTube. Embedding videos will also give more views which will help YouTube rankings and get more visitors in the future. In addition, the more embeds your video has, the higher it will move in the rankings. This one I probably need to explain more. You have seen Google ads on YouTube-videos. A person who has uploaded the video will earn little income when some of the visitors interact with an ad. Earnings change but the estimates are around $1,000 per 1,000,000 views. I have just recently started posting videos to YouTube so I still have to upload more to make some money there. Anyway, it will be one additional source of passive income for me. There are many ways to acquire traffic but YouTube is certainly one of the most powerful ones. People are watching more videos on YouTube than they are watching TV in total. The platform is growing year by year. I put links into video descriptions and into my profile. Then people click them and come to my website. They are already very good and targeted traffic because they have seen my video and I have built trust. They have already taken action and clicked a link to come to my website. This traffic brings more revenue and sales which add up hugely over the time course. Have you tried Screencast-O-Matic or other screencast software? What did you like?